It’s been a while. A lot has happened since. As the title of this blog entry states. It has been a long time since I last wrote an entry here, and a lot of things has happened since. July has passed and now we’re in the month of August. Right now, we are smacked in the middle of the Preliminary Examinations. So I have been busy lately studying and preparing for the exams that will come starting tomorrow until Friday (with a break on Wednesday as it is a holiday at the university.) Apparently, we had two examinations that were finished last Friday. We still have 6 exams to finish. Another thing that kept me busy from writing is the event we are preparing and going to execute soon. I know I played the role of a “leftist” since I showed my doubts and concerns about the concept. But now, I’m all in and ready to make this work. 3T5, we know this won’t be a smooth sail, but let’s enjoy the ride and we can put up a great event. Also, I went for a new haircut during this stretch. Because I always believe, that it’s a new beginning in a new haircut. Sounds weird, but that’s my belief. I really pushed for a comeback this time and give out a strong commitment on my craft. But of course, despite of the busy schedule I had. I found time to do something for myself. 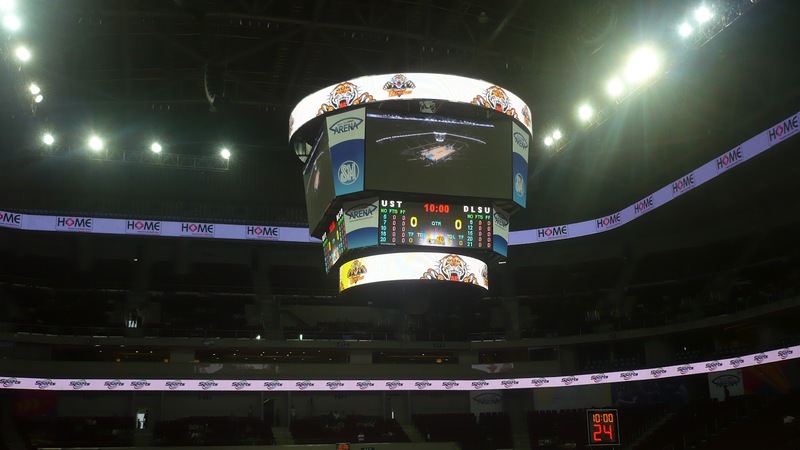 As yesterday, I watched the game between UST and DLSU at the new Mall of Asia Arena. It was my second time watching a UAAP game live at the game venue, and my very first time inside the new arena which is similar to arenas that can be found in the United States on NBA games with the marquees on the sides, the state-of-the-art jumbotron on top and the deluxe suites between the lower box and the upper box sections of the arena. The battle between UST and DLSU is very much anticipated as it was the battle of the Teng brothers. Jeric, UST’s 4th year gun-slinging veteran going up against his younger brother, rookie slasher Jeron of DLSU. The game was a treat for the people who watched the game at the arena, both teams battled with true grit and will. It was a up-and-down game with both teams trading baskets and runs. 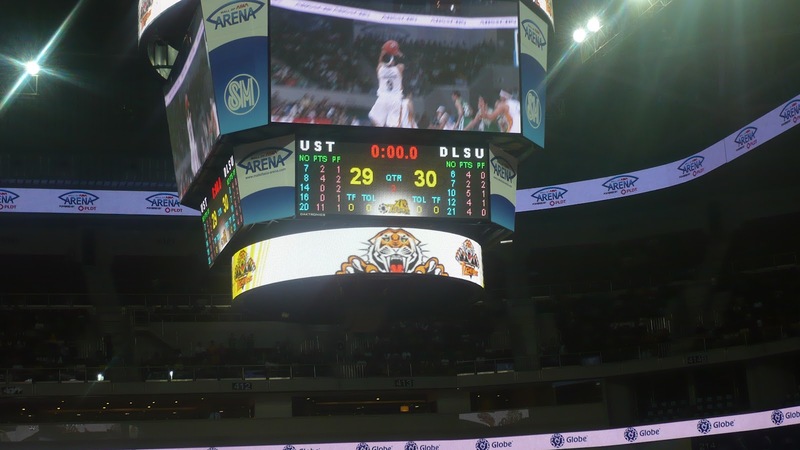 At the end of two quarters, UST was trailing DLSU 29-30. 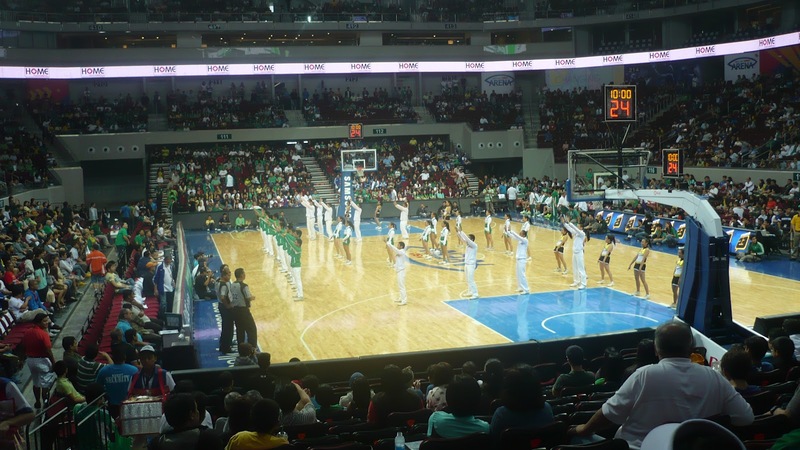 At halftime it was a great sight as the UST Yellow Jackets and Salinggawi Dance Troupe together with the DLSU Animo Squad put up a great halftime show as both cheering squads went together and did each others school cheers which showed that despite the intense battle. Both the Thomasian and Lasallian communities can co-exist in the spirit of sports. It was a tight battle in the 2nd half with UST dominating the 3rd quarter as Clark Bautista came alive nailing three pointers for UST. While DLSU made their comeback in the 4th quarter. And from their on it was a tight battle. After Aljon Mariano tied the game at 71. La Salle’s LA Revilla nailed a floater at the buzzer, and we thought La Salle won the game. But once the replay was shown, the ball was still in his hands when the buzzer sounded. The basket was waived off and the game goes into overtime. The first overtime game of the season. But one overtime did not settle the contest, As the score went dead even at 80 at the end of the first overtime. So the game went into double overtime. La Salle went up by 2 on a L.A. Revilla jumper. But Aljon Mariano responded with 2 baskets, on a drive to tie the game with 51 seconds left in the game and a jumper with 7 seconds to put UST up 84-82. La Salle had their chances to tie/win the game, first was Yutien Andrada who tried to tie the game with a hook but his shot got blocked by Karim Abdul. La Salle had 0.6 seconds on the clock. L.A. Revilla tried to save La Salle with a flinging three point shot, but came up short as UST beats DLSU in double overtime 84-82. This is one of the greatest basketball games I have ever witnessed. Both teams played their hearts out. The crowd from both schools were electric and very supportive. 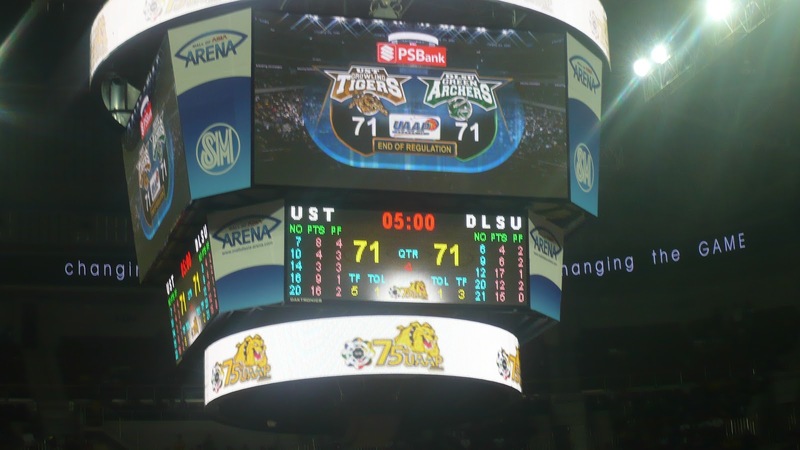 But in the end, the UST Growling Tigers survived with a impressive victory. 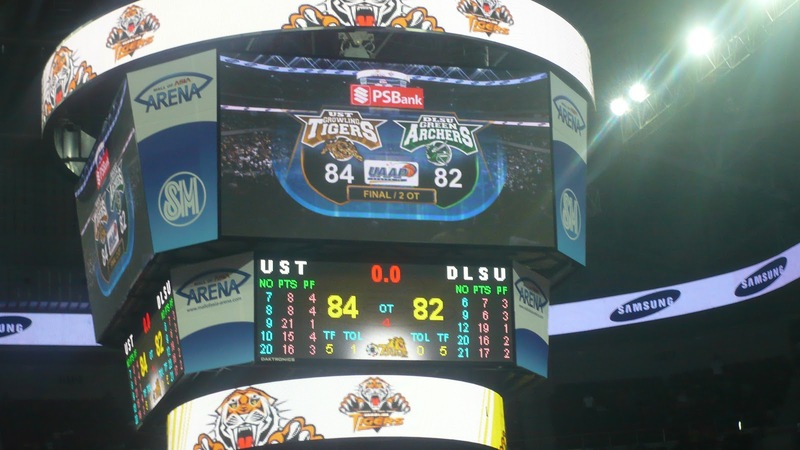 Kudos to the DLSU Green Archers they had a lot of heart in this game. Talk about the ever famous Ateneo-La Salle rivalry. Watching a UST-La Salle game is a great experience to say the least. It makes me wanna watch their meeting in the 2nd round live again. Now I’m 1-1 on the games I watched live at the game venues. The first game was last season when UST lost to Ateneo in a blowout in their 2nd meeting in UAAP Season 74 at the Smart Araneta Coliseum. 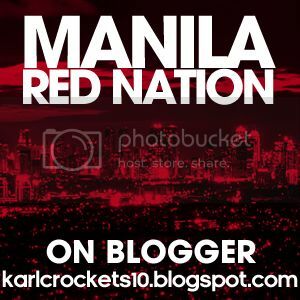 Aside from the UAAP action, I’m also pumped up about the 2012 Summer Olympics in London. Unfortunately, It’s been a tough ride for our athletes as 8 out of the 11 Filipino athletes at the Olympics have been knocked out of competition. Mark Anthony Barriga our lone boxer at the Olympics and our best chance at winning a medal recently suffered a tough 1 point defeat against Kazakh boxer Birzhan Zhakypov. 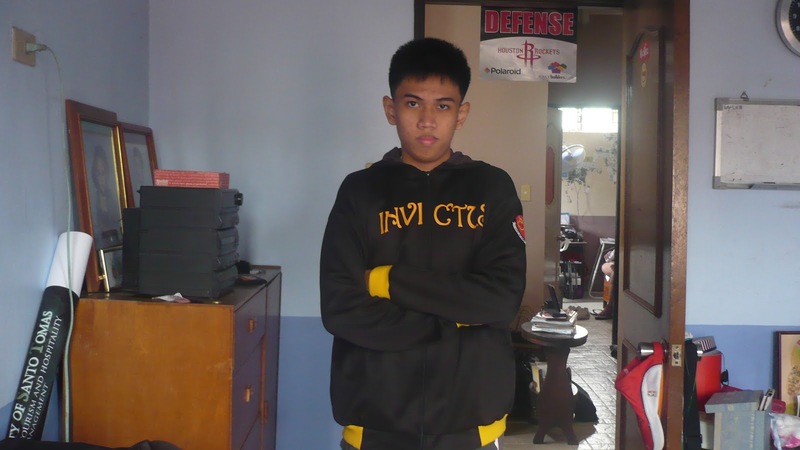 Aside from the Filipino athletes, Olympic basketball has been a great sight as we have an intense competition there. Don’t expect a smooth sail for Team USA on winning the gold medal this year as they have tough international competitors, the most notable nations are Spain, Argentina and Russia who can challenge the Americans for the gold medal. And also, in this Olympics. American swimmer Michael Phelps has won the distinction as the “greatest Olympian of all-time” by winning 22 medals at the Olympics (18 of them are gold medals) *as of August 5, 2012. Another thing I’m pumped about is Game 7 of the PBA Governors Cup Finals between the Rain or Shine Elasto Painters and the B-Meg Llamados today. Will the dream season of the Elasto Painters come into fruition? or will the drive of the Llamados give them a 2nd trophy for this season? That we will find out today starting at 5pm at the Smart Araneta Coliseum. Like I said, this blog entry is going to be long. Because, I won’t be back until the examinations are done at the end of the coming week. Until then, enjoy the ride and I’ll be back soon. Let’s Go and Bring it all on the line. Previous PostA week of trials and glory. Bringing honor and pride. I’m on cloud nine!Next PostLight at the end of the tunnel.